Log Cabin Challenge | What Goes With What? 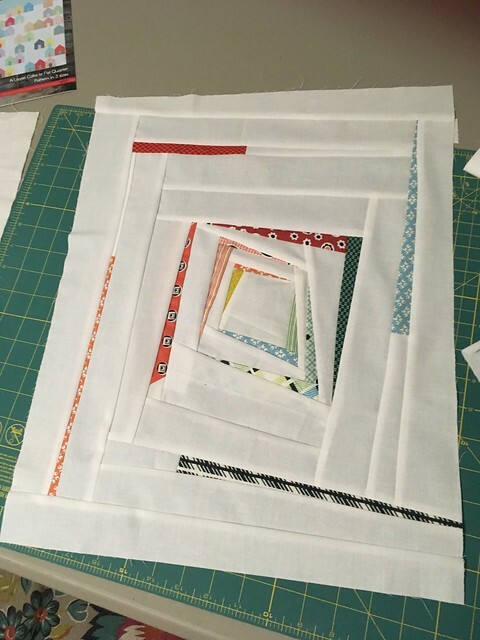 I belong to the Bainbridge Island Modern Quilt Guild that was started when I worked at Pink Chalk Fabrics. We have and annual mini quilt challenge. 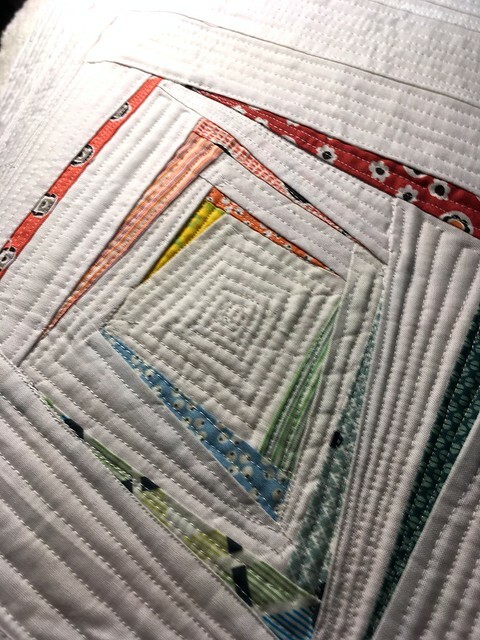 This year the challenge was to make a mini log cabin quilt. To get started I played around with some traditional blocks until inspiration hit. Once that happened I found myself obsessed and unable to stop making blocks. 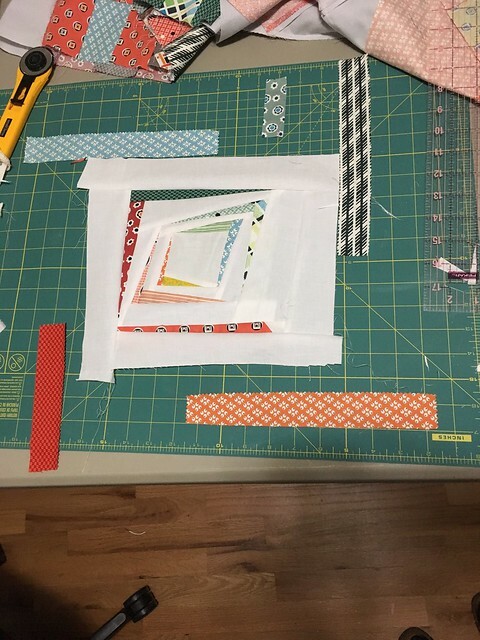 This is my first mini quilt in process. I added pieces and cut the angles to make a retro block. The design and lay out was challenging. But so fun! 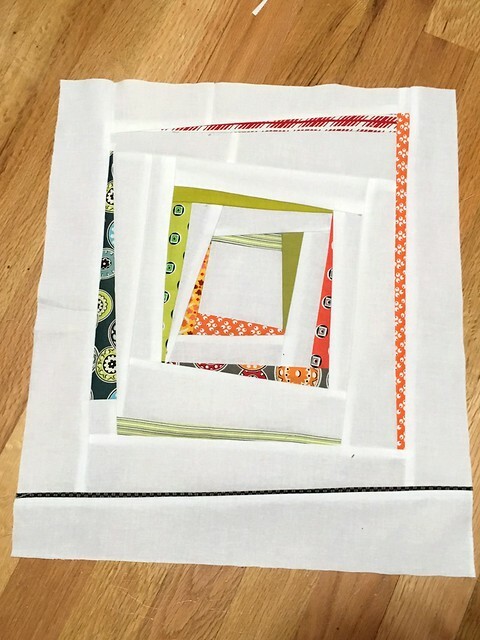 Some times quilting works and sometimes it doesn’t. This is an example of when it didn’t work. I wasn’t happy with random stars and zig zags so I ripped. Awe… that looks much better. 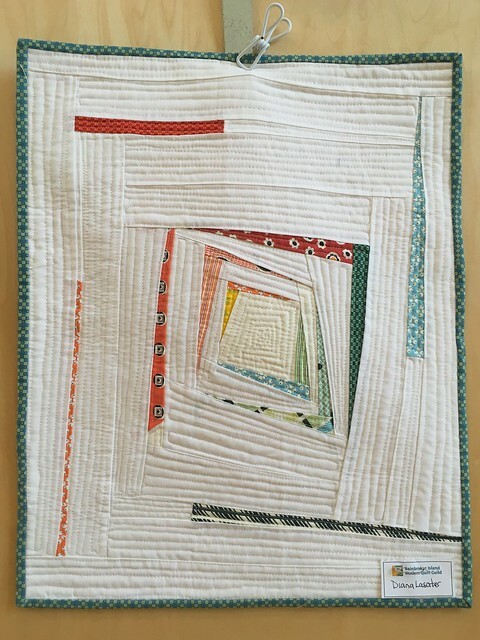 I love how the quilting itself is like a log cabin block. After making my Mod Minni I made another and then kept making log cabin blocks. I found I couldn’t stop myself. They are so fun to just sew and go. To see more log cabins from our guild here is a link to the BIMQG page. I have another to share in the next blog post. 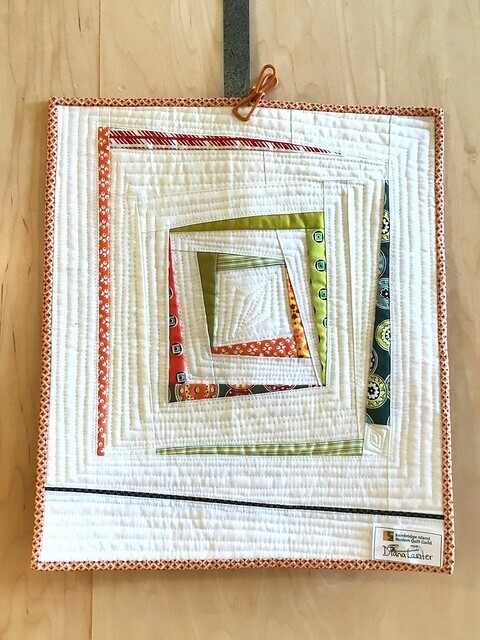 This entry was posted in Sewing and tagged BIMQG, Denise schmidt, flea market fancy, Log cabin, mini quilt challenge, modern quilt guild by Diana. Bookmark the permalink. 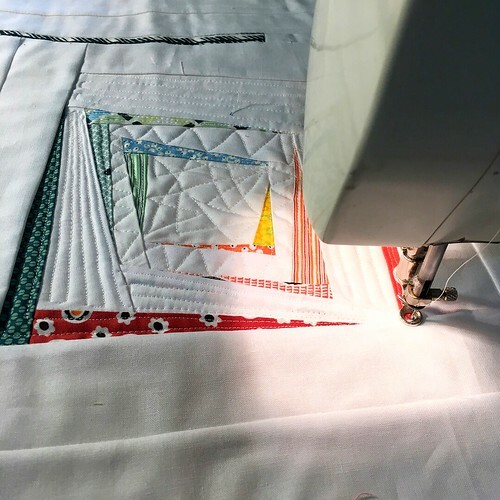 Pingback: Bainbridge Quilt Festival 2018 | What Goes With What?